I am 20 years old, I am American, and I have been all over the world. Australia, the Galapagos Islands, China, India, Mexico, Costa Rica, Ecuador, England, France, Italy, Switzerland, Canada, Dubai, USA, and now Germany. I have always identified myself, without hesitation, as American and I have never felt guilty or unhappy about my identity. It has been this way until I moved to Berlin a month ago. 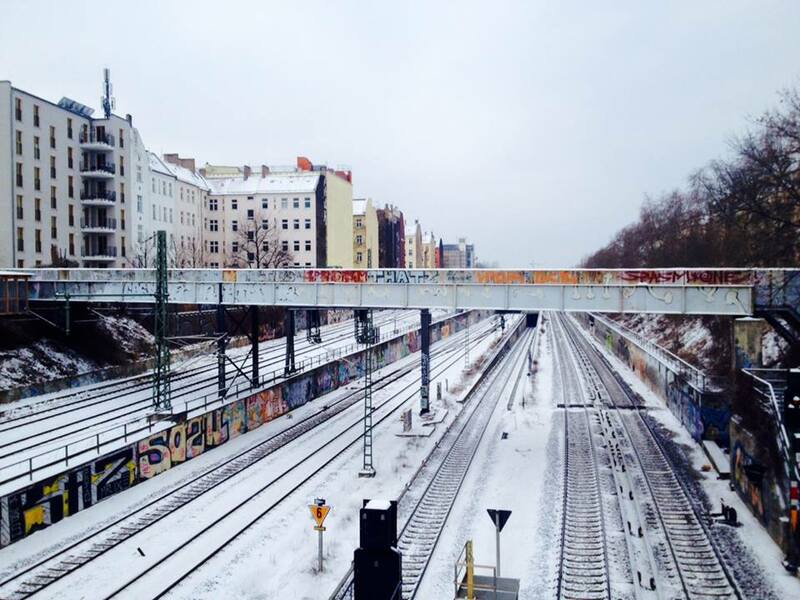 For someone who is fortunate enough to travel and receive a solid college education, I was really smacked in the face and awakened from my selfish and simple expectations of my future when I came to Berlin. Upon arrival, I was immediately thrust into dialogues, open discussions, and lectures on Berlin, Germany’s history (from a German perspective, not an American perspective) and how German 18-25 year olds differ from their American counterparts. Germany has struggled with its identity — and since it is unclear Germany was founded, some even argue whether the first Reich was actually Germany or just a group of colonies. Let’s not tip-toe around the elephant in the room: one of the first things that comes to mind when Germany is mentioned is the Holocaust. The Holocaust will always be the giant elephant in Germany’s history. But, why is it that Germans are so conscious of their history, and are regularly mindful of their past as they move forward into their future as a country? America doesn’t exactly have a great history either. Why are Germans so hesitant and critical of themselves, and strive to be normal, but my country just seems to not care about our past mistakes? During one of the first discussions, all of the American students sat in a room along with German students. Two German politicians and my professor led the conversation. After the topic of WWII got a little heated, one American student was bold enough (and ignorant enough) to say, “Well, I’m proud to be an American. I’m proud of my country and our role in WWII.” One of the panelists immediately ripped him apart. “You are proud of George Bush? The War in Iraq? Afghanistan? Vietnam? Are you proud of Slavery, or Guantanamo Bay?” The German students cheered as I shrunk into my chair, mortified. I was suddenly aware of how foreigners saw America. I’ve been raised with my country pounding the word ‘Proud’ into my head and never thought twice about it. I’ve been turning a blind eye to all of America’s wrongdoings and waving the American flag, with my country’s history far away from my conscious. Even the Holocaust was taught to me as if it were a movie: America flew in as Super Man and saved the day, and lived happily ever after. I have been so unaware of how pro-active Germans were about reconstructing their identity and building up their self esteem, balanced with historical self reflection, and it disgusted me that my country just keeps bull dozing into the future, trying to bury our mistakes into the past as quickly as possible. Trying to acculture myself as quickly as possible in Berlin has left me feeling very alienated from my home country. I’ve never moved to a place and haven’t been homesick once, and the fact that I moved all the way to Berlin without any tinge of sadness or homesickness has really confused me. I daydream about finally being fluent in Deutsch, belonging to Deutschland, and distancing myself far away from America mentally. I was thinking about all of this last night while eating a freshly baked chocolate chip cookie I made. When I bought the ingredients, I had to pound chocolate bars into chips and make a few recipe changes since I couldn’t find ingredients in Berlin that I normally used. I didn’t have any measuring cups in my kitchen, but the dough still came out tasting like the same cookie dough I made at home. And suddenly, as I ate that cookie, I missed my home. After thinking for a long time, I realized that it was irresponsible for me to 1) distance myself from my past and home, and 2) fall into the trap of nationalism. I should be freeing myself from the idea of belonging to a particular country, since that just stems from being fearful of not belonging to a group. I should also be freeing myself of the idea that nationalism is essential for a country to be prosperous. All nationalism does is build walls between people, which makes uniting all of humanity impossible. Each country is unique, but no country is better or worse than its neighbors. The German youth are working hard to change their country’s reputation, and as I have had ‘Proud’ taped on my back, they have grown up with ‘Guilty’ taped on theirs. I would rather be an active citizen and change the things I’m unhappy with rather than close my eyes and pretend that I’m from somewhere else. Incredibly thoughtful post, that concept of “pride” that we are raised with in the US is such a huge part of our culture that I sometimes feel like it’s a disservice…we feel like we’re so great that we don’t look at what we could do better or how we look to other countries. The other day a caller for the local public radio station was talking about possible US involvement in Ukraine, and he just went “Is there oil in Ukraine? If not, don’t expect the US to get involved” and you could almost feel the tension.